Danger Dan & Gadget Girl: Young fan of Secrets of Singapore! 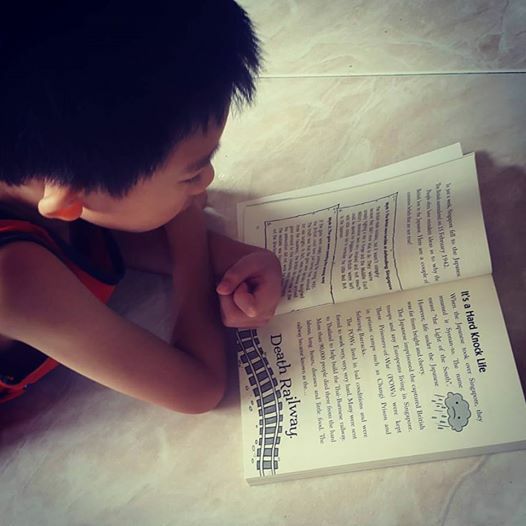 We received this adorable picture of Caleb, 8, reading Secrets of Singapore. His mum says: "He suddenly has a keen interest in Singapore's history. Started reading "Secrets of Singapore" written by Monica Lim & Lesley-Anne, and he can't seem to stop. Very easy to read with interesting snippets of fun facts. Can't find a better history book for kids that this. He's really loving it!"